It soon became clear that the Hornets were the underdogs of the Division 3 bracket, facing seasoned teams like the Mt. 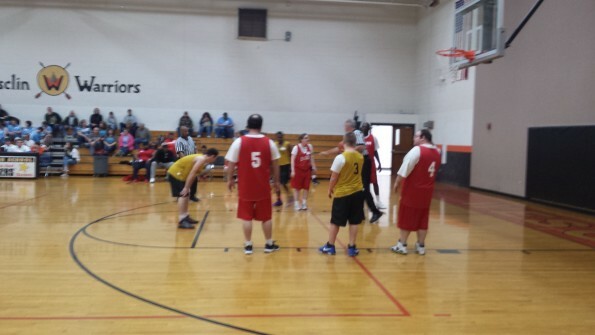 Vernon Mavericks, Alton Redbirds and Phoenix Chargers of Belleville, the reigning Division 3 State Champions at the 2015 Special Olympics Illinois State Basketball competition. Undeterred by these odds, Hornets’ coaches Brad Duncan and Jeff Raboin quickly started scouting the competition and developing a coaching strategy that would hopefully help the Hornets to victory. During the Hornets’ first game against the Mt. Vernon Mavericks, fans had the opportunity to see the Hornets play with teamwork to implement a zone defense and offensive plays, like the box, which the athletes have been learning in weekly practices since November. Every player on the Hornet’s roster had the confidence to step out on the court and every player made an impact in that game. Much of the team’s scoring came from the phenomenal point guard Curtis Covington and wing shooting guard Jimmy Peterlich, both of Charleston. Yet the heart of the team was seen in guard Jerry Kline of Mattoon, who earned the game’s athlete sportsmanship award presented by the IHSA game officials. In the end, the Hornet’s hard work and their coaches’ direction pushed them to a 34-26 victory over the Mt. Vernon Mavericks, bringing the Hornets game winning streak to 8-0 for the season. But the biggest challenge for the Hornets was the Phoenix Chargers of Belleville. After having won their game against the Alton Redbirds, the Chargers, a championship team with years of experience and four players over 6 feet tall, advanced along with the Hornets to the District Championship match. Any fan of the game could see that the Hornets were about to face their strongest opponent yet, still the Hornet’s coaches had a game plan. Having seen the size differential and slower moving pace of the Chargers, the Hornets changed to a man-to-man strategy and implemented quick transitions to get the advantage. 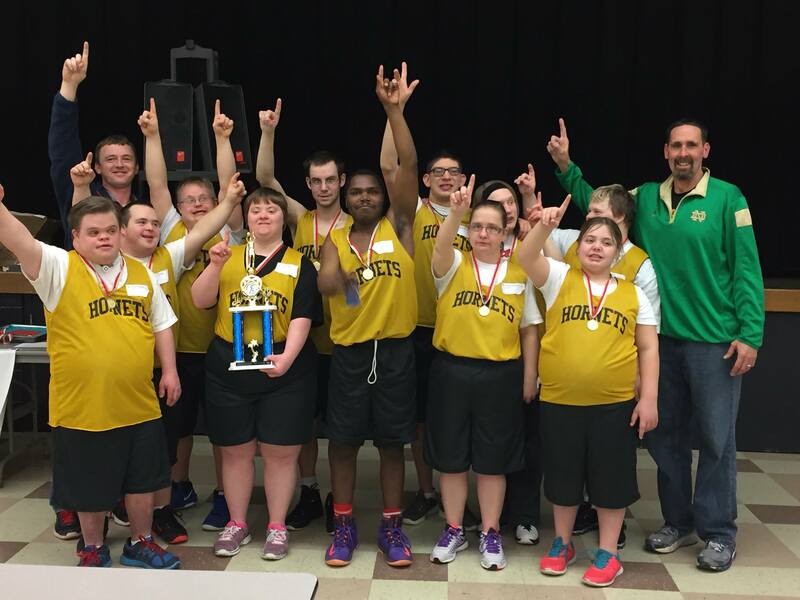 With a final score of 50-38, the Mattoon/ Charleston Hornets defeated the Phoenix Chargers, earning the Hornets the championship trophy for Division 3 and entry to the Special Olympics Illinois State Basketball Tournament March 11-13 in Bloomington-Normal. The undefeated Mattoon/Charleston Hornets with a 9-0 season record has an outstanding coaching staff, including Brad Duncan, Jeff Raboin and Jack Raboin, who plays for the Lake Land College men’s basketball team. The Hornets roster consists of star-studded Special Olympics athletes from the Mattoon, Charleston, and Arcola communities.